Decades have passed since old flame Richard Gomez and Dawn Zulueta have extinguished the embers of their much publicized affair. They have moved on with their separate lives and are now blissfully married to Ormoc native Lucy Torres and businessman Antonio Lagdameo, respectively. While Richard and Dawn continue to be shining stars in the entertainment industry, their spouses have equally become prominent figures in the Lower House. Amazing how fate unfolds surprising twists in their life stories. Reunited as Marco and Emily in the recently concluded ABS-CBN-produced primetime series “Walang Hanggan”, who would have thought that Richard and Dawn will hit it off big time again in today’s television dominated by young artists? Their once celebrated love team was revived – a phenomenon they both least expected. It yielded to millions of viewers and a multitude of followers on various social networking sites, contributing to the overwhelming success of the show. Even more astounding is the birth of CharDawn Penguins, a fan club of mostly female teenagers going gaga over the Richard-Dawn tandem. Some of them as young as 10 and 12 are daughters of parents who were avid followers way back in the early 90’s. Come to think of it, this new batch of devoted fans were mere babies, if not unborn beings, since their last movie together. The Eternal Love Team’s enchanting duet and unforgettable kiss live before thousands of people during the Walang Hanggan Pasasalamat concert in Araneta had viewers screaming off their seats, completely enthralled. And judging from the fans’ excited outbursts and inebriated screams, Richard and Dawn have shown how effortless they leave their audience tickled-pink — putting them on equal ground, if not higher, with other popular younger tandems. Their colossal comeback has roused a remarkably strong fan-base that cuts across generation and geography. Once again they have drawn a great number to their star-power splendor; and I have often wondered how and why. There seems to be no other team-up in the history of Philippine Entertainment who, in their forties, have captivated the hearts of Filipino audience here and abroad. So what is this magic that seems to bewitch the young and the mature alike? What makes the public stupefied, craving for more? Allow me to share with you my thoughts as I ponder and try to unravel Richard and Dawn’s mystique that has left many, including me, utterly fascinated. 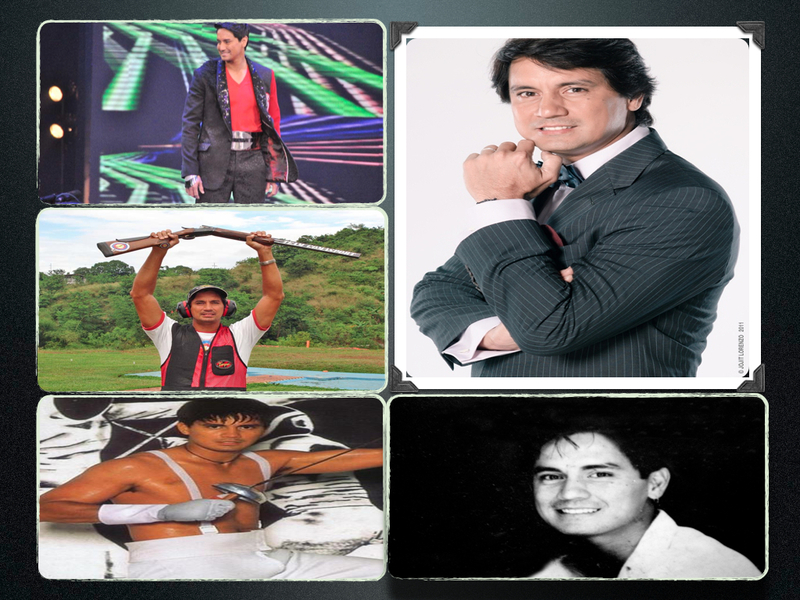 Richard, competitive and a risk-taker by nature, has conquered the many facets of stardom. Be it on a glamorous runway, the silver screen, in a fencing court, or political platform, he is one personality you simply can’t take your eyes off. And in all fairness, he measures up to the qualities of a Filipina’s ultimate ideal man: tall, dark and irresistibly handsome. Despite rumors of infidelity in past relationships, he proves himself “faithful” to the promises he has made at the altar of marriage all through these years. That does make him an ideal husband and father as well, don’t you think? 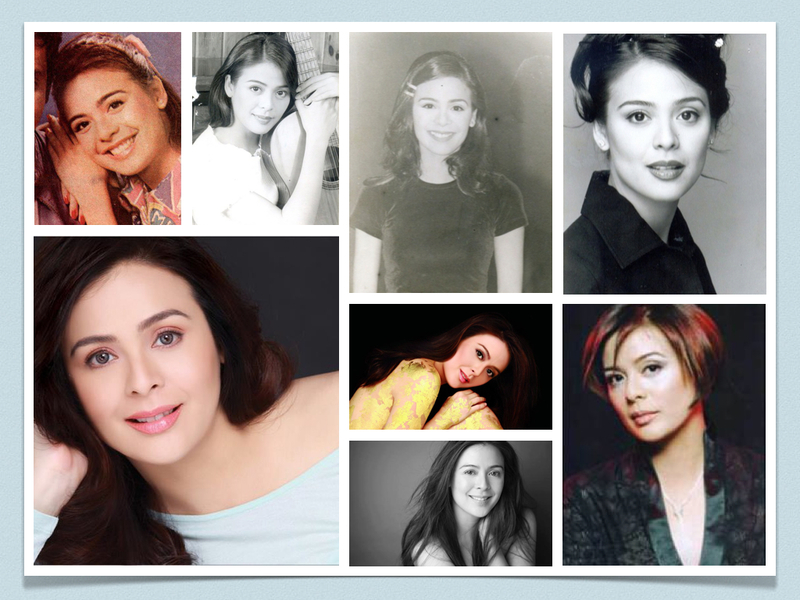 Dawn is inarguably one of the most beautiful faces in Philippine cinema and television. She, of exceptional Palestinian descent, looks more comely with age, befitting the title “Timeless Beauty.” Exaggeration aside, this fine-mannered woman’s eloquence and rather elegant bearing at forty-three rivals that of a pageant titlist in her twenties. But Dawn’s beauty goes far beyond the physical; it encompasses the totality of her womanhood. When true love sought and found her, she embarked on a different journey that entailed a temporary hiatus from the glories of the limelight. Such move allowed her to live as a normal ordinary person would, discovering and valuing the more essentials in life. That must have been one of the best life-changing decisions she has made, for it molded her into the woman that she is now – firmly grounded and forever grateful despite a successful career highlighted by well-deserved acting accolades. On no account does she feign a charmed life – she simply lives one. Moreover, Dawn naturally exudes genuine warmth and joy. Anyone who has had a close encounter with her would attest to that with conviction. Her affable smile and amiable qualities set her apart. Thus many young girls, especially the La Zuluetas and DawnLovers (her fan clubs) look up to her as someone worthy of emulation and truly deserving of all adulation. Needless to say, Richard and Dawn attract both the literally young and the young at heart. Stunningly gorgeous and good-looking together, they are a sight to behold, a perfect fit and an explosive match on the big screen. Add to that professional rapport built on mutual trust and respect, and an awe-inspiring friendship that evolved through time and differences. For me, they exemplify what most men and women in and out of show business desire to attain with failed love relationships. Their surreal magic together not only in front of, but even more so behind the camera holds onlookers palpably and incessantly spell-bound. One important note to consider is the audience’s ideals and perspective toward celebrities. Have they finally matured in their choice of role models? I for one, and surely many others have grown weary of love teams with saccharine eyes but superficial depth, thus thriving only in the imagination; or of personalities puffed up by deceptive fame and false flattery. CharDawn is like a breath of fresh air – unadulterated and without pretense. Most of the fans are more than happy and content to see them work together. They are entirely aware of and have accepted the reality of their idols’ marital lives. In fact, their devotion extends to Lucy and Anton, and accommodates their respective kids. Isn’t that sweet? Last, but definitely not the least, is the spark of romance past. The very notion that Richard and Dawn were once real-life lovers, irregardless of how the relationship ended, adds so much brilliance and credibility to their team-up now. People have witnessed how deeply they loved and cared for each other then. The two have shared a bond which perhaps was tarnished by pain and imperfections, but eventually redeemed them. And that very bond, special and significant to them both, is indelibly impressed on the memories of the public. These and probably a whole lot more can be said about this extraordinary chemistry. Stories yet to be told will definitely fall on eager ears. But at the end of it all, when the lights are off and the cameras gone, two things hold true for me. First, that love never dies; it only shifts in form and degree; and when mutually shared, enjoyed and nurtured, it continually grows, transcending time and space. Second, that the friendship shared by Richard and Dawn is an affirming and inspiring example of this, and will certainly be remembered with fondness in a long long time. discussion. It’s caused by the passion displayed in the article I looked at. And on this article Richard and Dawn: A Bond Indelibly Impressed | Bypaths and Beyond. responses come across like they are written by brain dead individuals?